UNESCO has published the report on the extent of conservation in areas declared as World Heritage Sites, Ohrid condition is regarded as vulnerable and the main reason for the possible degradation are the envisaged infrastructure projects. Macedonia has two years to save its only World Heritage Site. SCOOP has already warned of this in its two documentaries “The Lake facing destruction, institutions only think of profit” and “Lake Ohrid threatened by urbanization” of 10 and 11 April this year. “There is no doubt that the so-called development projects will bring destruction of the values ​​of the Ohrid region, for which it is declared a UNESCO area”, says Aleksandra Bujaroska of “Front 21/42”. “This is the right time for complete abandonment of all destructive plans and choosing a completely different way of developing our greatest natural resource” as stated by Front 21/42. 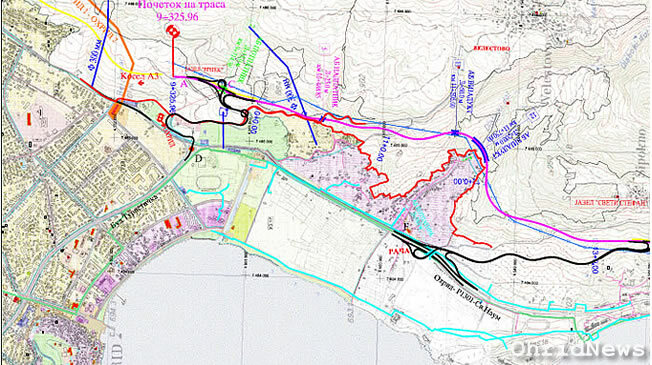 In the UNESCO report it is required the Macedonian authorities to consider options for eco-tourism, and plans for the ski center and the highway to be stopped immediately and left forever: “The mission in 2017 concluded that some of the proposed major infrastructure and construction projects (…) will lead to irreversible changes in the protected area (…)”. The UNESCO mission that visited Ohrid in April resolutely advises not to alter the existing zones of protection in the National Park “Galicica”. “For more than three years we have been fighting against the decision to change the zones of protection in NP Galicica in order to create “legal” terms for construction of the ski center, highway and tourist development zones”, said Bujaroska of Front 21/42. “Suggestions regarding the illegality of this decision, that were persistently ignored by the national park and all competent, have been transformed into an initiative for review of its constitutionality, which was submitted to the Constitutional Court in February this year. We hope that the court will revoke the decision, and after the clear opinion of the mission of UNESCO we ask all responsible to stop or divert the current change of the management plan for the National Park “Galicica”. We suggest the process to be used to improve Galicica’s protection instead of its destruction. In this regard we ask the European Bank for Reconstruction and Development, MEPSO and all potential investors to shift funds towards projects for eco-tourism”. UNESCO gives Macedonia two years to meet the new obligations laid down in the report, and those of 2016 that our country has not fulfilled yet. 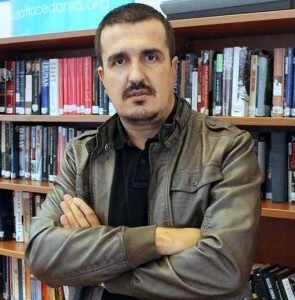 Responsibilities include urgent measures to stop the destructive plans, adoption of the Ohrid region management plan, completion of the strategic assessment of the cumulative impact of all projects on the environment in the area, an alternate route for the railroad to Albania, etc. If not realized, the message is clear: in 2019 criteria will be met for putting Ohrid on the list of “World Heritage in danger”. “People say “everything bad is for something good”, this is the moment when the past mistakes can become lessons learned that will bring us tangible progress in protecting our greatest natural resource, but also in tourism and economic benefits, especially for the local population” – says Iskra Stojkovska of Front 21/42. “Ohrid has top and unique values ​​that can and should offer values ​​based on modern tourist trends, scientific tourism, bird watching, diving, extreme sports, etc. to the world market” continues Stojkovska adding “One of these values ​​is extremely rich wildlife which is known worldwide, and Studenchishko blato has an important role in it. We believe that now is the time for the government to finalize the procedure for declaring Studenchishko blato a natural monument and to offer it to the list of Ramsar Convention on Wetlandst. In this sense today we are sending an initiative to the new Minister of Environment to begin the procedure for the nomination of Lake Ohrid and the Studenchishko swamp for the Ramsar area”. According to Front 21/42, the new government and Parliament should formally stop the destructive plans, then provide enforcement of the Law on management of the Ohrid region and preparation and implementation of the management plan for the region, required by this law. The plan, with proper evaluation of environmental impact, is also required by UNESCO in its last report. “It is absurd to first plan any infrastructure projects, and then implement a law on protection and prepare a management plan” says Stojkovska. “With this objective we organized the campaign “It is one! It is worth it!, and within it we have already established a constructive communication with the Parliament, communication which we expect soon to lead to concrete steps and measures”. Front 21/42 announces a joint event with parliamentarians on June 21, Ohrid Lake Day.